Liv Wan’s illustrations have helped to move our brand forward and to present our festival as a colourful, fun and vibrant experience. The illustrations we commissioned exceeded our expectations as they were beautifully executed and presented with such passion. Liv is always a delight to work with, delivers on deadline and we will definitely ask her for more in the future. I commissioned Liv to produce banner illustrations for an arts project, ‘Creative Communities’ in Kilmacolm. Liv is an excellent illustrator who responded to the brief promptly and accurately. Her work really adds a sense of fun to the site. The client was absolutely delighted with the end result. Highly recommended. I have commissioned Liv on several occasions and wouldn’t hesitate to do so again in the future. She illustrated food products for food packaging I was designing and did a great job, taking direction brilliantly and creating a really beautiful end result. In brief, she is easy to work with and does a great job. Thanks Liv! 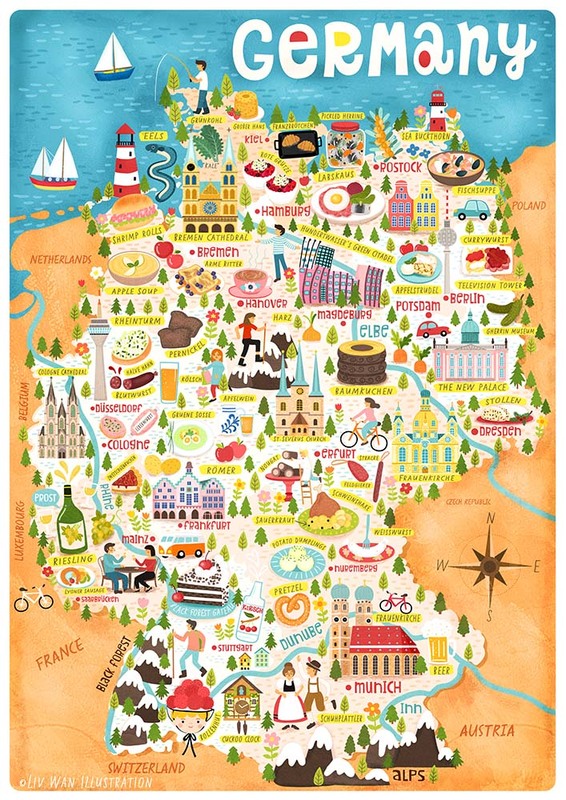 “We are thrilled to have so many deliciously illustrated recipes and fabulous foodie maps by Liv on our sites. It was so great to be able to publish a cookbook of her recipes. Her book “The Illustrative Chef”, printed so beautifully! The color and detail is amazing. We hired Liv to create a fun illustrated poster of our new product – Pasokin – Peanut Butter Crumbs – We wanted something fun, colorful and with our brand’s identity. Liv was very professional and helpful with ideas. We loved the design from the beginning but we worked together to get to the perfect version. She has willing to make all the chances we ask for. The final result is wonderful and people always ask us who made this illustration. We are very satisfy with her work. Will definitely hire her again in case We need another piece of art!